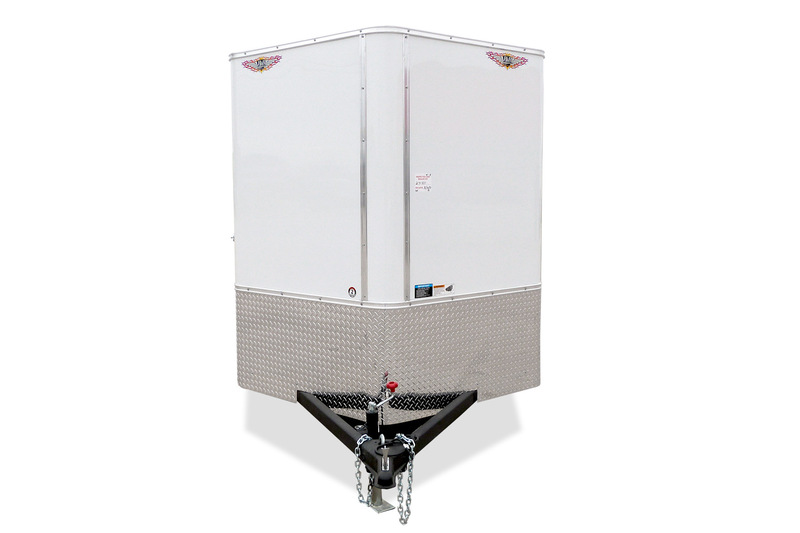 Protect your valuables with the HH Series FT Flat-top enclosed trailers. 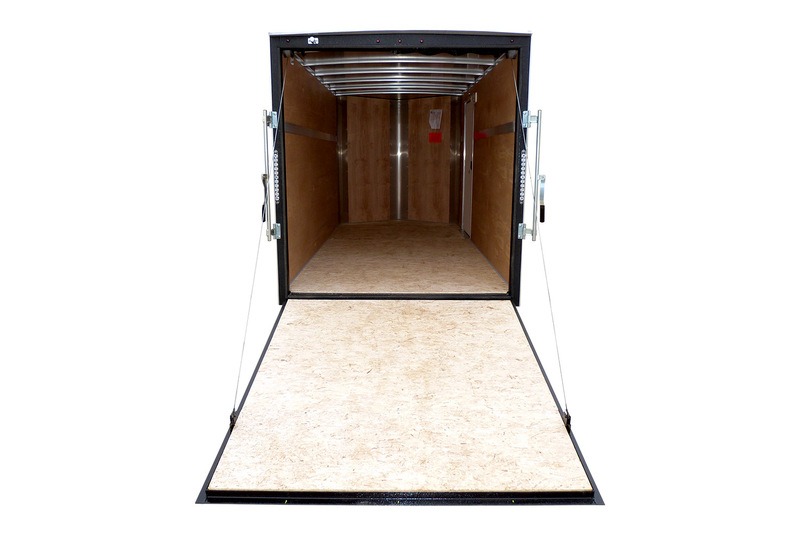 The v-nose construction provides you more cargo space adding value to its overall use. 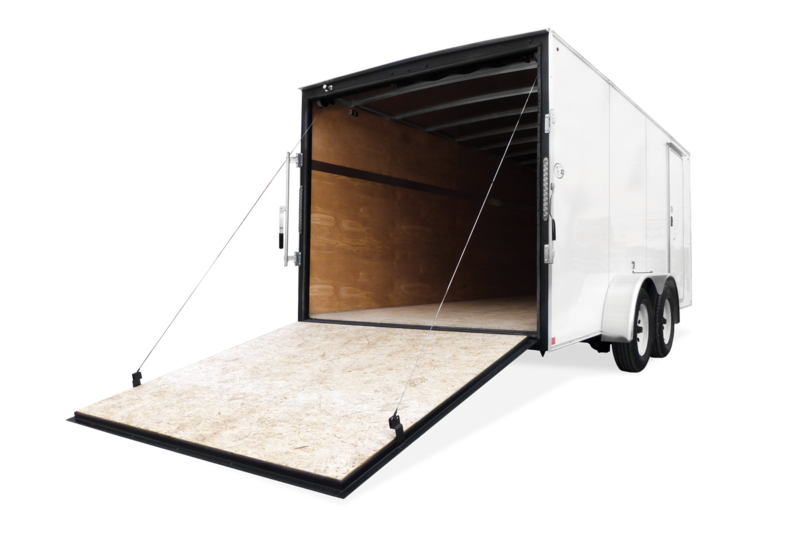 Single or tandem axle models are available. 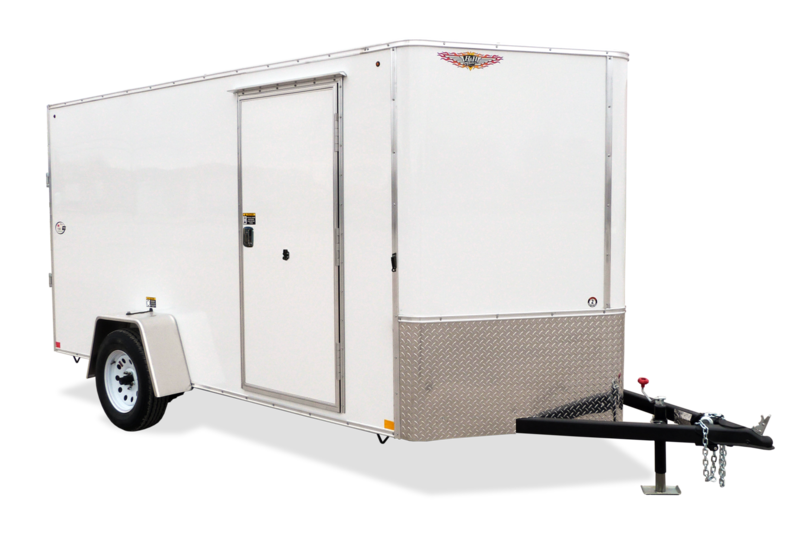 24” rock guard, radial tires, LED lighting, screwless exterior and full tubular frame, wall uprights and roof bows are standard. 7' x 14' TA 38"
7' x 16' TA 38"
8' x 16' TA 38"
8' x 18' TA 38"
101" x 16' TA 38"
7' x 14' TA 18"
7' x 16' TA 18"
8' x 16' TA 18"
8' x 18' TA 18"
101" x 16' TA 18"
7' x 14' TA 15"
7' x 16' TA 15"
8' x 16' TA 15"
8' x 18' TA 15"
101" x 16' TA 15"
7' x 14' TA 68"
7' x 16' TA 68"
8' x 16' TA 68"
8' x 18' TA 68"
101" x 16' TA 68"
7' x 14' TA 36"
7' x 16' TA 36"
8' x 16' TA 36"
8' x 18' TA 36"
101" x 16' TA 36"
7' x 14' TA 69"
7' x 16' TA 69"
7' x 14' TA 78"
7' x 16' TA 78"
8' x 16' TA 90"
8' x 18' TA 90"
101" x 16' TA 95"
7' x 14' TA 19'-10"
7' x 16' TA 21'-10"
8' x 16' TA 21'-10"
8' x 18' TA 23'-10"
101" x 16' TA 21'-10"
7' x 14' TA 102"
7' x 16' TA 102"
8' x 16' TA 102"
8' x 18' TA 102"
7' x 14' TA 8'-1"
7' x 16' TA 8'-1"
8' x 16' TA 8'-1"
8' x 18' TA 8'-3"
101" x 16' TA 8'-1"
7' x 14' TA 16'-2"
7' x 16' TA 18'-2"
8' x 16' TA 18'-2"
8' x 18' TA 20'-2"
101" x 16' TA 16'-2"
7' x 14' TA 82"
7' x 16' TA 82"
8' x 16' TA 93"
8' x 18' TA 93"
101" x 16' TA 93"
8' x 16' TA 82"
8' x 18' TA 82"
101" x 16' TA 82"
7' x 14' TA 73"
7' x 16' TA 73"
8' x 16' TA 73"
8' x 18' TA 73"
101" x 16' TA 73"
7' x 14' TA 19"
7' x 16' TA 19"
8' x 16' TA 19"
8' x 18' TA 20"
101" x 16' TA 19"
7' x 14' TA 13'-10"
7' x 16' TA 15'-10"
8' x 16' TA 15'-10"
8' x 18' TA 17'-10"
101" x 16' TA 15'-10"